A year or so ago when Sedgemoor District Council (SDC) and the Environment Agency started work on the Bridgwater Tidal Barrier (BTB) scheme they jointly decided not to spend money on an economic impact assessment. As a result of that decision there is now no way for councillors, ratepayers and business to measure and benchmark the wider commercial and economic impacts of BTB project. The project is now simply valued and measured by government rules. This is especially important for those ratepayers and the HoW LEP who will directly pay for a proportion of this scheme. For Somerset’s councillors there is no visibility of the potential direct local (Somerset wide) benefit. With a preferred location agreed and the full details still yet to be seen or shown to the public it is difficult to see how the Bridgwater Tidal Barrier can be proceeding as it is. There is a need to scrutinise the EA’s proposed Bridgwater Tidal Barrier and its management of the delivery of the scheme. There urgently needs to be some form of independent peer review to support the decisions of councillors and EA employees who do not have suitable engineering qualifications and experience. No private company would do this. 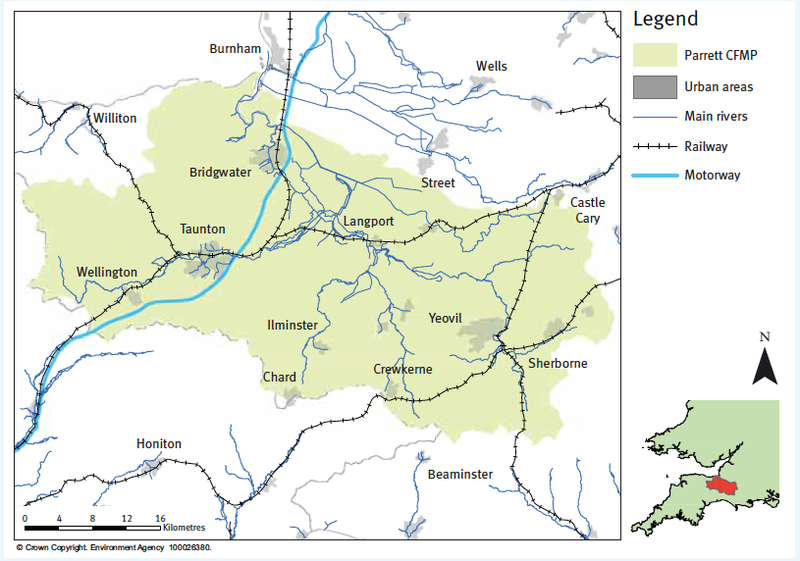 The River Parrett catchment and its capacity affects much of South and Central Somerset; almost every town is on one of its tributaries. The wider opportunity that Somerset’s flood defence expenditure presents has to date been largely ignored and is in danger of being squandered. Sensible promises made in 2014 have been quietly allowed to disappear. If you live within the Parrett Catchment or in West Somerset this article will be worth reading for economic reasons alone. By 2024 nearly £100M will have been spent on flood related work within Somerset and the majority of the money focused to the north and north west of Bridgwater. The EA’s managed realignment at Steart Peninsula and the adjacent Bristol Ports property deal for it proposed container port that is of no economic benefit to Somerset sees nearly 3000 acres of farmland removed from the the local economy. The Levels will still flood and as they did in 2014; they will simply drain more quickly. A flood defence system will have been built that only works for sea water (tidal) and that will probably have to be replaced because it will not be viable to extend its design life because of the ground conditions along the river banks. The expansion of Bridgwater over the next 100 years ignored. The rather novel concept of putting a tidal flood barrier 5 miles upstream of the mouth of the River Parrett and into the town implemented. An additional 2,000 acres of productive agricultural land will be in the process of being lost to agricultural bringing the total of land lost to the local economy to 5,000 acres including Steart Peninsular and the Bristol Ports land deal. There will be no bridge over the Parrett although the myth that you cannot easily have both on one structure will have been discredited albeit too late. No beneficial integration with a future Bridgwater bypass considered or provided. An important relationships between the capacity of the KSD/Sowy expansion and the impact of the location of the BTB never mentioned or costed. The planned loss of Pawlett Hams to the sea lying hidden in the Parrett Estuary Flood Risk Management Strategy. Perhaps the most unfortunate decision to date was naming the barrier/barrage the Bridgwater Tidal Barrier and sending mixed messages as to its purpose. That single act has reduced interest and scrutiny both in Sedgemoor and further afield to almost nothing. Only 180 people came to a public consultation in September 2016. The introduction on the SDC barrier website reproduced below implies on the last line that it “could play a critical role in reducing flood risk” (tidal) and not the fluvial flow it started talking abut; they are not the same thing but did meet once in 2014. Two different things have been conflated into one message. Could it be made to have an impact on another 2014 Flood YES. Despite having the SRA under its wing and councillors jointly at County and District level there is little in the way of a long term vision that can be see being developed. 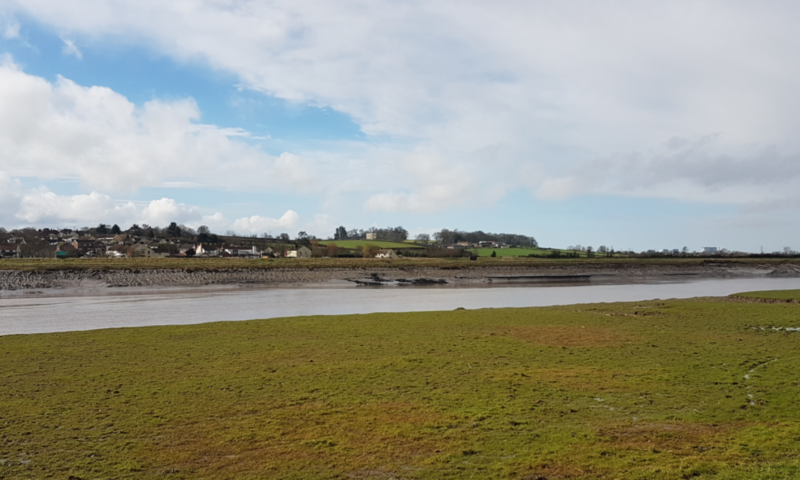 A shorter more strategic tidal scheme closing off the South Somerset Levels from the sea by closing the short gap between the hills from Combwich to Pawlett Hill has not been considered. Secure the south Somerset Levels from the sea. Improve the fluvial capacity of the River Parrett to the benefit of Taunton Deane and South Somerset as well as Sedgemoor. Provide a bypass and improved road link to West Somerset using EDF’s extended Cannington Bypass. West Somerset’s economic development is constrained by two roads (A39 & A358) and the need to navigate across either Bridgwater (A39) and Taunton (A358) road systems to get to the M5. With little or no options and no Government money available as part of its road budget it is an area of Somerset where the wealth and opportunity of its population is always constrained and likely to continue. No doubt why it loses industry and income. It is difficult to understand why West Somerset isn’t trying to improve its economic link to the M5 motorway and via the A39 to Frome, Wells, Shepton Mallet, Street, Glastonbury and Yeovil. Constructing the Bridgwater Tidal Barrier at Combwich with a road bridge taking advantage of the recently constructed EDF extension to the Cannington Bypass would provide a significant economic benefit to West Somerset. Both local authorities rely on their respective tributaries Rivers Isle, Cary and Tone to convey surface water to the River Parrett and onwards to the sea. No amount of SUDs, storage on the Levels or slow the flow is going to change the fact that you can only get so much fluvial flood water out through the River Parrett. That constraint will ultimately have to be faced by limiting economic development The opportunity has not been taken to leverage the long term benefits for the two districts by moving the barrier downstream. The reason to relocate the selected Bridgwater Tidal Barrier site downstream is that its preferred location does almost nothing to improve the conveyance of surface water to the sea. Where it is now proposed above the King Sedgemoor Drain outfall means that the full benefit of the KSD/Sowy expansion cannot be achieved or the capacity of the River Parrett optimised. Capacity that would benefit largely Taunton Deane and South Somerset. That scheme is being paid for by everyone and is simply not as good value for money as it could be. Rising sea and tide levels will reduce the time the KSD sluices can discharge. That situation will invariably negatively impact both districts by limiting how much water can go in to the system at their end. It is therefore surprising that neither council has been pushing the barrier downstream where it could be used to increase conveyance in the same way as the Thames Barrier does. Increasing the overall capacity of the system when the Levels again flood is the priority and an opportunity not to missed offers one less obstruction to those two districts economic development. Sedgemoor opted to support a 15Km long scheme that cannot be extended (raised) as sea levels rise. Somewhere a bigger one will be required. Its consultants never looked at what would be the best scheme for Somerset or indeed wider Bridgwater. It is just what would be the cheapest for the EA whilst the SRA and SDC looked on. A location for the barrier where a bridge cannot be added to it is hardly planning for the future but it does ensure the ratepayer does not get value for money. Defending the North Somerset Levels could be achieved by the construction a new barrier from the Polden Hills to end of the Mendips (Brean Down). Such an undertaking could be easily done providing undeveloped land is identified. We could create a second line of defence over the next 30 years letting Somerset contractors run recycling operations allowing trains to bring in recycled materials to form a continuous flood defence. Its time managed retreat was abandoned. What is disappointing is that with the SDC Local Plan under development there is no land being reserved for future improvements to the flood defences. The organised surrender of Somerset’s hard won land is being orchestrated by the EA under its Managed Realignment process and no one is challenging it. Everyone in Somerset should be interested in what is being done along the coast for safety and economic reasons. There is simply no plan. The Heart of the West LEP with its support of the BTB a project will ultimately damage local businesses based in most districts (£16-20M of lost land values) whilst in a current study is looking at improving rural businesses . The LEP is an organisation facing both ways to the detriment of everyone. Somerset needs some joined up thinking and understand the very negative implications of some of Somerset’s flood defence scheme.Only when its built and its limits apparent will people say “if only”. It is unacceptable that better engineering options were not identified and presented to councillors; ultimately it should be the ratepayers decision to go for a better solution if they want to. The EA should not presume as it has in this case. On the 14th July starting at 10.00 am the first opportunity to do something takes place when the SRA scrutiny committee meets in open session at Somerset County Hall, TA1 4DY. Why is the Bridgwater Tidal Barrier not also designed to help to mitigate the effects of a similar flood to 2014? What is the replacement plan for the Bridgwater Tidal Barrier? What is the cost of a scheme with a bridge ? Should we only be spending our money on such a limited scheme? Why wasn’t Combwich and the resulting shorter flood defence system that protects a larger area than the current scheme considered by the EA? Does the extension of the Cannington bypass towards Combwich necessitate the reassessment of the present scheme? Should Somerset County Council be looking at a more holistic scheme for Somerset? Should SCC commission a county wide economic assessment of what an alternative barrier scheme might deliver? Do we need the EA or should the SRA be expanded to become a delivery focused organisation and the EA limited to a statutory consultee ? Is the role of environmental charities in developing and influencing flood policy beneficial and do they have a conflict of interest? Why after 3 years since the flood and 8 years since the barrier identified as the preferred solution is there almost no information about the scheme on the http://www.sedgemoor.gov.uk/bridgwaterbarrier website? The EA plan another consultation on the full scheme later in 2017. Councillors of all Somerset’s districts might like to look at the economic impact of this scheme (BTB) on their own areas and perhaps county might look at the bigger picture. An unintended consequence is only the failure to adequately consider a decision before it was made.